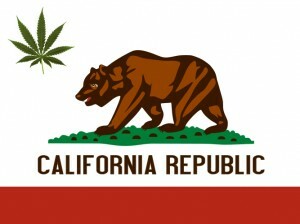 Will Marijuana Merchants be Fined in California? Marijuana growers in California may face an extra obstacle to production. A new bill called AB 243, written by Assemblyman Jim Wood (D-Healdsburg), is set to be heard in the California Assembly. The bill would require commercial marijuana growers in California to get a permit that specifies how many plants are being grown and where. The bill gives local governments the right to decide how many indoor and outdoor plants can be cultivated by growers. Some view the proposed bill as a sign of validation for the marijuana industry, others believe it is a governmental attempt to muscle out marijuana growers. Wood’s bill goes even further with an environmental component. In addition to possibly being told how many plants they can legally grow, marijuana merchants will also need to obtain a permit from the State Water Resources Control Board that proves they are in compliance with all local water laws. Growers will have to show that their processes like, irrigation runoff, fertilizer use, soil disposal, and water discharge fit state requirements. Wood claims that the legislation is not meant to be a hassle to growers, but is meant to further regulate marijuana like other agricultural crops. The bill is called a “pathway” for commercial growers into the farming community. One of the most controversial parts of the bill are all of the fees that growers must pay to comply with the new laws. The bill would cost around $6 million, but permit fees are projected to significantly lower that figure. Wood knows that some people may not agree with his methods of marijuana grower integration. He pledges that if his bill is not successful, he will regroup and try again next year. AB 243 is headed for a vote in the California Assembly. If it passes, the bill will be sent to the Senate for approval. If the bill passes the Senate, Governor Brown will have the last word. This is a significant time for marijuana merchants. The passing of the bill could further legitimize the marijuana business in California, leading to an even bigger boom in the industry. Let the experts of MMA manage your marijuana merchant account. Call us today at 1-800-466-1809 to learn how we can grow your business. This entry was posted in California Marijuana and tagged AB 243, California Marijuana, California Marijuana Merchants, Marijuana Bill AB 243, marijuana merchant account by admin. Bookmark the permalink.